Description: G1-7CH, commonly known as "Glitch," was a droid that worked at Aunt Z's Tavern. There, he served the clients, and, when necessary, also simulated various odds about the races while Aunt Z managed bets. During the New Republic era, G1-7CH worked for the Gilliand Aunt Z, who owned a tavern on the refueling platform Colossus on the ocean world of Castilon. Glitch was present when the new Resistance recruit and spy Kazuda Xiono entered Aunt Z's Tavern. Kaz soon got into trouble when the Aleena Grevel rigged a holo-darts game, leading to an altercation with the Klatooinian Bolza Grool. Kaz later unwillingly entered into a race with Ace Squadron pilot Torra Doza. Aunt Z got Glitch to place bets on Kaz, who subsequently lost that race. Glitch was later present at Aunt Z's Tavern when Kaz when to mop after being chastised by his employer Jarek Yeager for causing some engines to fall overboard. 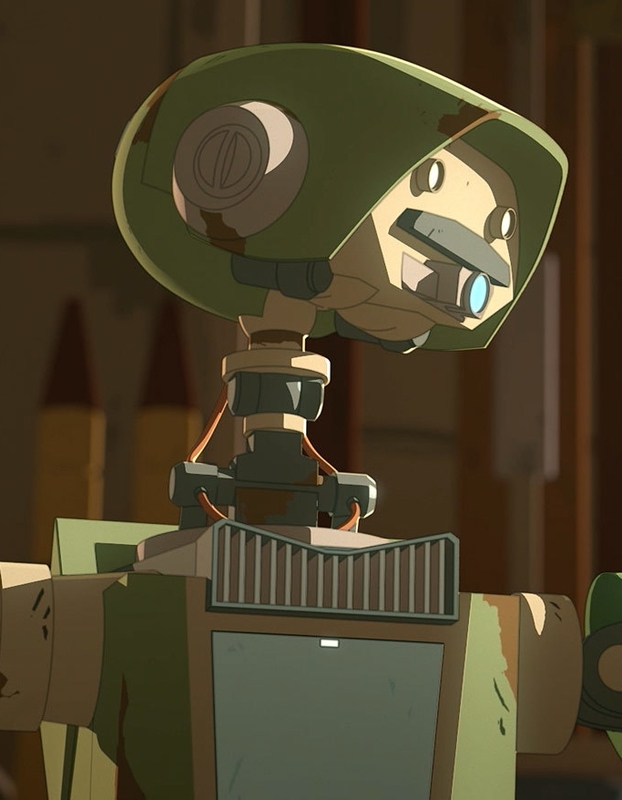 During that visit, the racer Jace Rucklin and his associates Lin Gaava and Gorrak Wiles befriended Kaz in order to steal from Jarek Yeager's Repair Station. Glitch later served drinks at Aunt Z's Tavern during a storm and power blackout. Later, he and his employer watched as Kaz fled stormtroopers while climbing the walls and platforms surrounding Doza Tower. Aunt Z placed bets on Kaz. Later, Glitch was present when the astromech droid BB-8 entered the tavern looking for his charge Kaz. Glitch was present when racing star Marcus Speedstar visited Aunt Z's Tavern. Shortly later, two Guavian Death Gang enforcerss entered the tavern and kidnapped Speedstar's friend Oplock in order to force Speedstar to pay up his debts. When Yeager tried to force Speedstar out of the race, Speedstar refused to quit since he wanted to save his friend's live. Aunt Z decided to place bets on Yeager. Glitch was later present when Kaz and his friends Torra Doza, Neeku Vozo, BB-8, Bucket, Bolza Grool, and Al took part in a game of holodarts. Kaz missed all three attempts. Bucket then had a goal with the two darts hitting the bull's eye. However, the third hit Kaz's buttocks, causing him pain and embarrassment. Later, Glitch was waiting on tables during a visit by the merchants Flix, Orka, and their pit droid GL-N. After GL-N consumed some blurrgfire, the pit droid went amok and wreaked havoc in the tavern, annoying Glitch, another serving droid, and Bolza Grool. The three ganged up on GL-N and knocked out the pit droid. During the First Order's occupation of the Colossus, the First Order BB-series astromech droid MB-13A harried GL-7CH with an electro-shock prod. Later, Aunt Z objected to the First Order's presence on the Colossus and threw out a First Order propaganda poster. After Aunt Z was arrested, Glitch was left to run the tavern. He was busy serving customers when Kaz and Torra Doza visited seeking Aunt Z's whereabouts. 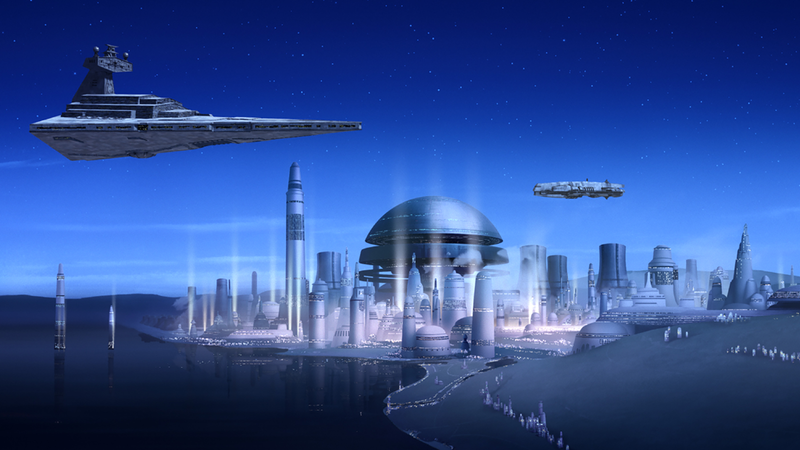 After the Colossus resistance lowered the Colossus into the ocean in order to contact the Resistance, Glitch was serving Al a drink when they saw Kazuda Xiono and the astromech droid CB-23 being pursued by First Order SCUBA troopers. 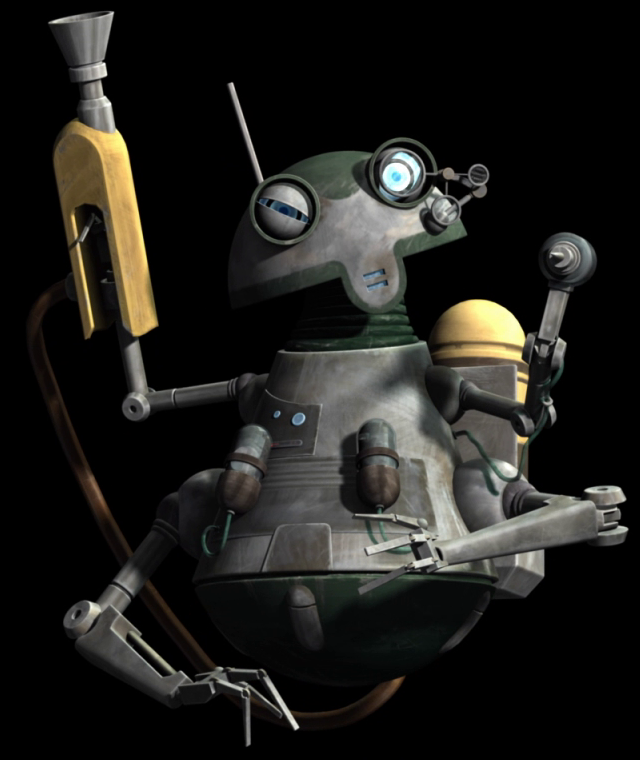 Glitch was a serving droid with a green and beige head and chassis. He had white sensors. He was programmed by Aunt Z to serve drinks and take wages on races and fights.